Let’s be honest — is there anything more amazing and singularly gratifying than becoming the owner of a new puppy? It’s (probably) a scientific fact that puppies are made out of joy and rainbows, and there’s really nothing quite like having a cute little canine friend in your life. But any puppy or dog owner would be quick to point out that owning a dog isn’t a completely painless experience. There can be certain drawbacks and one of the biggest (and smelliest) ones is their urinary habits. Some dogs are easily potty trained, and some aren’t, but regardless of that, pee is always unpleasant. 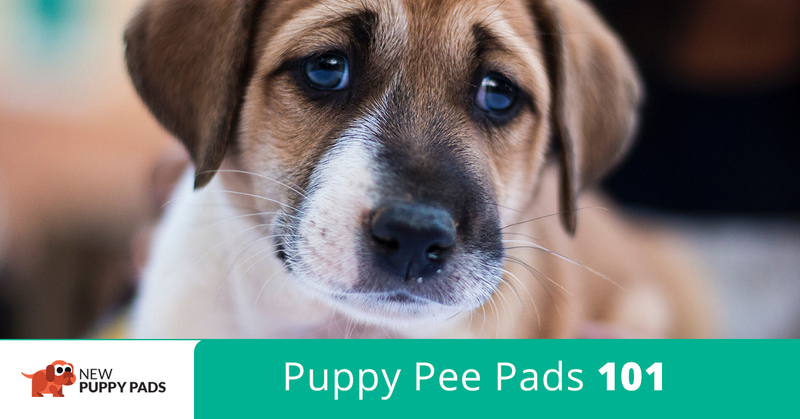 Much research has been done to alleviate the pain points of owning a new puppy, and one of the biggest innovations in the world of dogdom is the puppy pee pad. At New Puppy Pads, disposable and washable pee pads happen to be our specialty. Let’s take a comprehensive look at these potty pads so you can know whether or not they’re right for you. Puppy Pads, in a nutshell, are special pads that are created with the purpose to absorb dog pee. More specifically, they’re designed to entice the dog to pee on them specifically, instead of anywhere else in your home. There are many reasons why you might want to direct where a dog pees. Pet urine, after all, is notoriously difficult to remove from carpet, and even if it’s easy to clean up from hardwood, most people like to have as little pee in their house as possible — imagine that. By using disposable or washable pee pads, one can have some degree of control over their dog’s urinary habits. This is useful in many situations — it helps to prevent the dog from peeing in undesirable spots, and it can also be an incredible tool in helping them to eventually be completely potty trained for the outdoors. Disposable Puppy Pads: For most owners, puppy pads aren’t a permanent addition to their repertoire of dog-related items. If pee pads are used correctly, you won’t have the need for them anymore after a certain period of time, since your dog will be potty trained. If you’re in this boat, disposable potty pads are the product for you. 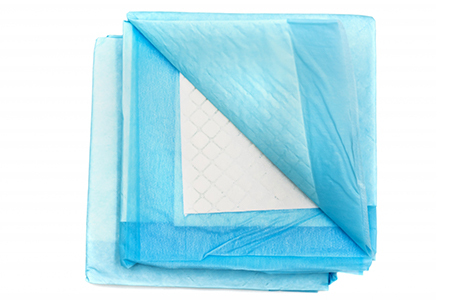 These pads are super absorbent with fluff filled lining, and the POLY-FRESH polymer draws fluids away from the surface, while also neutralizing odors. Disposable pads are exceedingly easy to use — you lay them down, and once your dog has done their business, you throw them away. Easy as pie! Washable Puppy Pads: Washable puppy pads are good for two different types of people — those who work with dogs and puppies on the daily, and those who need a long-term solution to their dog’s pee problem. Washable pee pads can be tossed into your washing machine instead of thrown away, giving them amazing longevity. If you’re a breeder or adoption center owner, you’ll be dealing with puppies on the regular, making it more economical in the long run to invest in a good collection of washable pads. They can also be a useful long-term solution for dogs who don’t have access to an outdoor area to pee in. The answer is that there is a combination of different factors which make puppy pee pads an attractive choice as your dog’s designated urination station. Think to yourself — would you just pee anywhere? If humans didn’t care for comfort or surroundings while they do their business, we wouldn’t have fancy little toilets, locked doors, stalls, or plumbing. But we do, and so do dogs, so it’s only logical that they’re peculiar about where they do and don’t pee. Puppy pads are designed with materials that are enticing to a dog. It’s not possible to know exactly what goes through the mind of canines, but through trial and error, certain conclusions can be made, and for the most part, dogs and puppies take well to the vinyl and polymer materials that our potty pads are made out of. We’ve done research to ensure that our materials are dog-friendly, and though there will never be one material that’s 100 percent attractive or unappealing to dogs, we’ve found that most of them enjoy using our pads, whether they’re washable or disposable. It’s no secret that the nose is the “secret weapon” of dogs, being more powerful than our own by several orders of magnitude. The sensitivity and power of a dog’s nose is truly dizzying, so it’s a no-brainer to take advantage of that when creating training tools such as puppy pee pads. Our puppy pads have special attractants in them, made from a unique combination of scents to form a “secret sauce” which makes are puppy pads so effective. While the scent of the puppy pads will be wasted on the feeble human nose, dogs will be singing a much different tune when they get a whiff of these pads. So, that brings us to the big question — what can puppy pads be used for? While provided a brief summary above, let’s dive a little deeper into just how you can use dog training pads to your advantage. Potty training is probably the most widespread reason why people invest in puppy pee pads, and we can’t blame ‘em — as cute and lovely as dogs are, it can be a truly frustrating experience when they just can’t control their bladder. If you want to correct this problem, or get them trained before it becomes a problem, puppy pee pads are arguably your best choice. 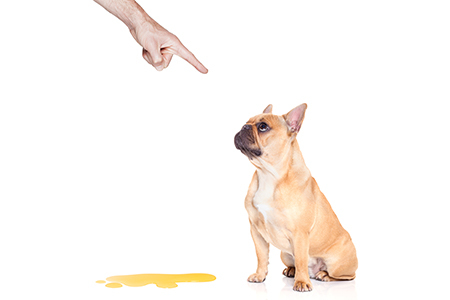 Get Them Used to Peeing on the Pad: The first step is getting your dog used to peeing on the pad in general. For some dogs, it’s like a cat to a litter box — they see and smell the pad, and they just know they’re destined to pee on it. For others, however, it’s more of a struggle. You might have to resort to little tricks (which we’ll cover below) to get them used to the pad, but once they do, it’s a major victory — it means your dog is conditioned to pee in a certain spot, instead of wherever he wants. Weaning Them Off the Pad: After you’ve gotten your pup used to peeing on the potty pads, it’s time to harness this habit, and direct it towards a more productive end — peeing outside. By slowly moving the pad closer and closer to the door after a period of a few weeks, you can eventually move it outside until you’ve reached the lawn. If you apply the right type of positive encouragement and reward, eventually you’ll be able to remove the pad entirely, and presto! You’ll have a potty trained pupper. If You Don’t Have Quick Access to a Yard: Dogs aren’t like cats in that you should keep them exclusively indoors. Dogs long for the great outdoors, and it’s your responsibility as an owner to take them outside. But if you don’t have a yard, it’s not a bad idea for them to have a place to pee inside. It’s good to get them outdoor potty-trained and for you to take them outside when you can, because your dog can do their business anywhere as long as you clean up. But, puppy pads are a good backup option if you don’t have a quick, direct connection to an outdoor peeing spot. If Your Dog Has Urinary Problems: Some dogs are predisposed to peeing much more than others, and if this is the case, it might just be best to accept that outdoor potty training isn’t in the stars. By providing them a permanent peeing spot indoors, they will never have far to walk to do their business. This makes things easier for both you and the dog. If you use a puppy pad frequently enough, the dog will begin to associate it as a “go-to” peeing spot. If Your Dog is Left Alone for Long Periods: If your schedule demands that you spend a lot of time away from your pet, their little bladder often isn’t big enough to stay put until you come home. If you don’t have a way to give them outdoor access while you’re gone, you’ll benefit from puppy pads which will give them a spot to relieve themselves if you aren’t there to take them outside. If Your Dog Can’t Go Outside: Some dogs, for one reason or another, are confined indoors. If your dog has a health issue that leaves them better off indoors, potty pads are an obvious solution to their urinary needs. This is also helpful for extremely timid dogs who fear the great outdoors. If You Have a Tiny Dog: While urinary accidents from tiny dogs are easier to clean up than the puddles that big dogs leave, they also happen much more frequently. Miniature dogs have miniature bladders, and sometimes a simple ten-foot stroll to your backyard is too much of a barrier between them and their urges. It’s never a bad idea to have a peeing spot for your little guys. As puppy pad retailers, it would be irresponsible of us not to inform our potential customers about the drawbacks of puppy pads. In reality, there aren’t many, but there are a few things you should be aware of before you purchase, so they don’t end up taking you by surprise. They Aren’t Foolproof: First, every dog owner should know that puppy pads won’t necessarily be the magical panacea to their pup’s peeing problems. They help most of the time, which is why we have an overwhelming amount of positive testimonials and returning customers, but every dog is different, and some might not take to your training pads. Your Dog Could Become Dependent on Them: It’s important to use puppy pads with caution and careful observance, because it’s possible for dogs to become too accustomed to puppy pads, to the point where they don’t want to pee on anything else. For this reason, it’s important to slowly wean them off the training pads until they’ve gotten used to peeing outside. Reward your dog with treats when they use the puppy pads. When weaning them off pads, reward them for peeing on the grass instead. Tell them to “go potty” right before they pee, so they associate the words with potty training. Put the pee pads in a centralized spot that’s easy for the dog to reach. If your dog pees somewhere they shouldn’t, make it difficult or inconvenient for them to do it again (such as placing an object over the spot). Clean up all urine with scent-destroying urine remover — dogs like to pee in spots where they’ve peed before. Place the pad opposite to their food, bed, and water. They don’t like to pee near those things. Keep the puppy pad location consistent — dogs are creatures of habit. Place the puppy pads on a hard floor so accidents are easy to clean. Don’t scold your puppy for peeing in the wrong place; this just encourages them to do it in secret. Once your pad is outside, place some dirt and grass on it to get them used to the scent. We hope this page has done a pretty good job of elucidating just how useful and versatile puppy pee pads can be. At New Puppy Pads, we are devoted to helping dog owners everywhere to have a positive experience with their puppies and to raise them right. We love hearing the positive feedback from our customers because we know that, with puppy pee pads, things are just better for both dog and owner. Do you want your own set of potty pee pads? Browse our online store today! We have an amazing variety of disposable and washable puppy pads, and we know you’ll find a set of pads that are perfect for you and your puppy. Got any questions? Contact us today!